The season of 2018 will be our eleventh in the Yamaha Past Masters series and this year there are bigger, more ambitious plans ahead than ever before. To take advantage of regulation changes, allowing the use of 17 inch wheels on YPVS 350s, which means that wet tyres are available to us, our aim is to run two bikes, one for dry conditions and one with the smaller wheels for use in the wet. With enough parts now to build at least one spare engine, blowups that turned into whole weekend disasters in previous seasons, won't cause to much of a problem. If you love old two strokes, you will love Yamaha Past Masters racing. Come along and join in the fun. Getting involved is easy too! This season, to help make us competitive, we are inviting small donations in exchange for displaying your message on the bike, the race transport bus and on our web site. For as little as £10, your message of love, peace, happiness, birthday greeting, or whatever else you wish to say gets displayed everywhere we go. Businesses can sponsor us at a range of levels too, so there really is something for everyone when it comes to spreading the good word. Take a look at our supporters page for more details. Once again, the Village Websmith has provided the site, hosting and domain for the race team as part of their sponsorship package. Thank you to all concerned. 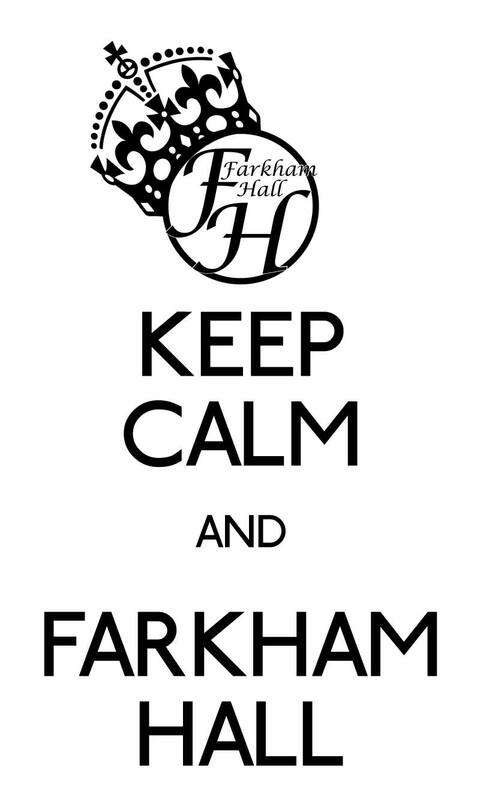 The new range of Farkham Hall Racing team kit will be coming soon too. Show your support (and have a bit of a chuckle in the process) by wearing one of our teeshirts. Check out the site, or click in the header of any page to email us for more details.